The WHS Counseling Staff conducted a short Web-Ex on the topic: Understanding Financial Aid. 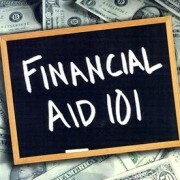 Topics discussed included: What is Financial Aid? How do I use the Net Price Calculator? Understanding the different Loans available for my student Taking a look at the FAFSA FAQ’s To listen to the Financial Aid Web-Ex Presentation Click Here!